​Wood Buffalo National Park is Canada's largest protected area (second largest in the world) at 44,807 square kilometres. The park was established in 1922 to protect the last remaining herds of bison in northern Canada. ​With roughly three dozen residents, Kakisa is the NWT's smallest community. However, it is one of the most charming with its log cabins, vibrant fireweed and lush evergreens sitting on the shores of Kakisa Lake and just a short trek away from the picturesque Lady Evelyn Falls. ​This is the longest bridge in the NWT, straddling the Mackenzie River. It is the most costly piece of infrastructure in the North costing $202 million to complete. ​The whooping crane is North America's tallest bird, growing up to five feet tall. Around 500 of these birds dwell in the marshlands near Fort Smith. ​The Slave River rapids are world class - popular for kayakers and those who want to catch a glimpse of some pelicans. 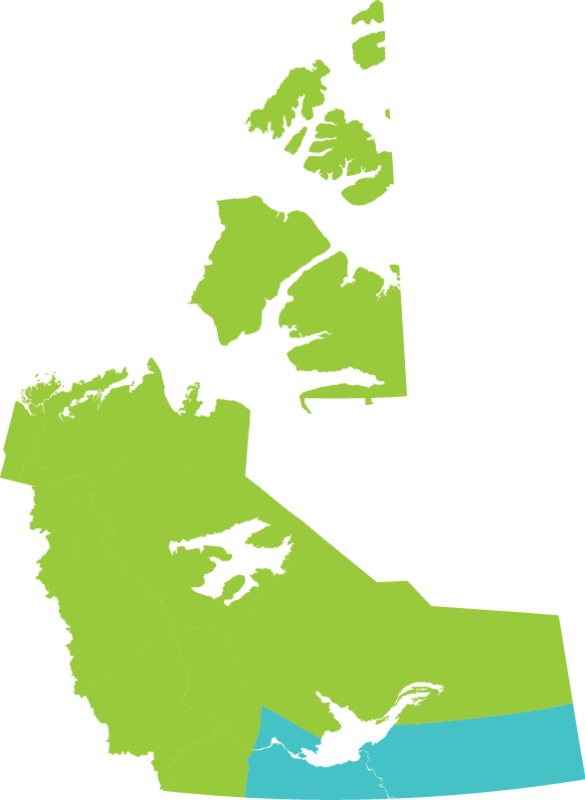 The territory's second largest town sits on the south shore of Great Slave Lake where you can find the NWT's best beach.